Blue Knight Labradors began in 1980. Since about 1981, we have been members of several dog clubs, and served on the Board of two Labrador clubs in Southern California, holding nearly every office and committee that one can hold in a dog club, and were known for hosting health clinics for over 100 dogs every year at our home. We were founding members of the High Desert Labrador Retriever Club. Somehow we did all of that with four children and two careers. 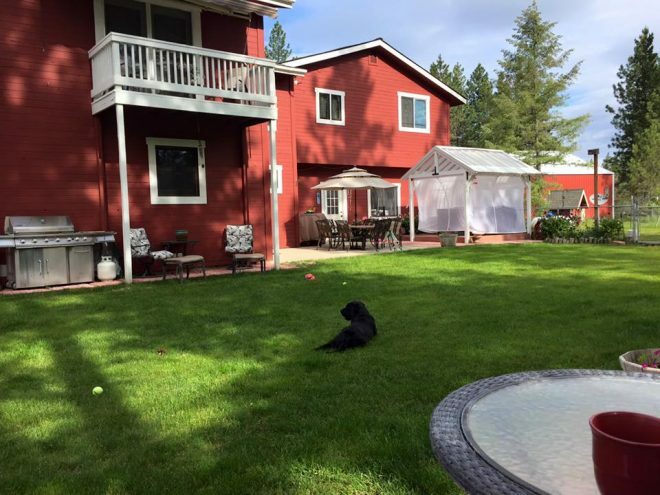 We had a licensed kennel in California, and have moved to North Idaho to retire from our respective careers. We love it here, and our dogs do too. We love the Labrador Breed, and hope to enjoy the company of Labs forever. While we’ve slowed down greatly, we still dabble in showing. We are proud that many of our puppies have gone on to be show dogs, hunting dogs, obedience dogs, agility dogs, search and rescue dogs, guide dogs for the blind, therapy dogs, assistance dogs (one a seizure detection dog), and most important, family pets. We have all three colors that are accepted in the Labrador Retriever Standard (Black, Yellow and Chocolate). If you’re looking to enjoy some photos of Labs, or if you’re trying to learn about the breed, we hope we have provided what you’re looking for, and that you enjoy browsing the site. This site is intended to help people learn about the breed. We believe the Labrador Retriever is one of the best all-around dogs available. We can’t imagine our lives without them. We are, and always will be, actively involved in the promotion and protection of the Labrador Retriever. Showing our dogs gives us a lot of pleasure. Nothing pleases us more than having a cup of coffee on our yard swing in the morning, watching our dogs play in the back yard. 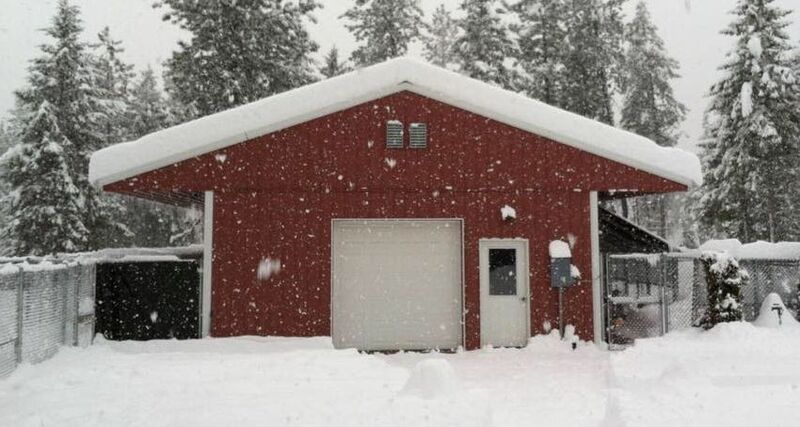 As you can see, it can get cold in North Idaho, so the dogs have two electric heaters, and a large wood burning stove to keep them warm. There are three paddocks for the dogs to run in, they each have an indoor 6×6 run which opens to a 6×12 run which can be opened out to the paddocks. The dogs also rotate into the house two to three at a time.